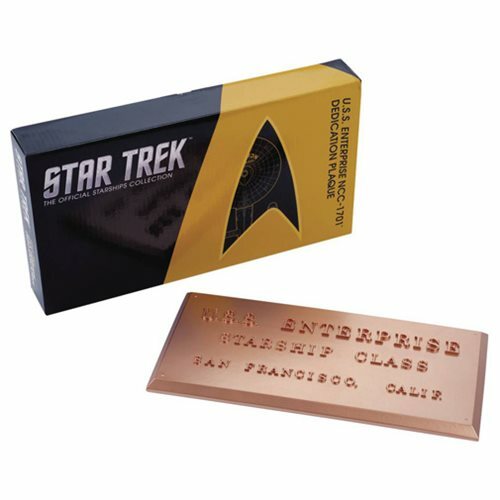 Eaglemoss expands their line of collectibles based on Star Trek with a series of replica dedication plaques from the most famous starships. The first plaque is a scale replica of the dedication plaque that could be found on the bridge of Captain Kirk's original Starship Enterprise. The plaque measures 10-inches across and has hooks on the back so it can be hung on the wall. It is based on painstaking research by Star Trek scenic artist Mike Okuda. Ages 14 and up.